Coastal trips with underwater observations around the islands of Faial and Pico, revealing some secrets of valuable marine life of the Azorean sea. Recreational/educational tours highlighting the biological and conservation of the marine biodiversity, as well as several geological characteristics of our region. During the trip you can observe in their natural habitat several species including parrotfish, damselfish, moray, atlantic bonito, yellowmouth barracuda, guelly jack, greater amberjack, starfish, sea urchins and more. Come on board this unique boat with an innovative futuristic design to visualize the flora and fauna in their natural environment. 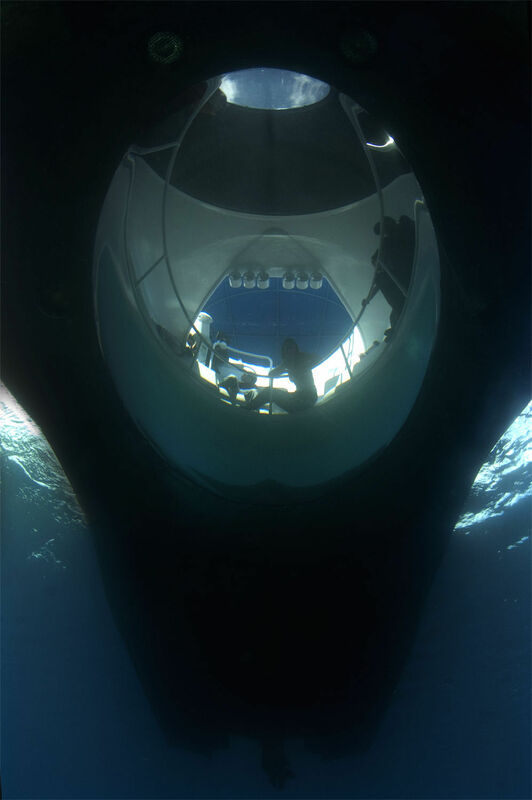 The boat is characterized by having a concave bottom glass with an observation area of approximately 5 m2; equipped with underwater lights for night trips. 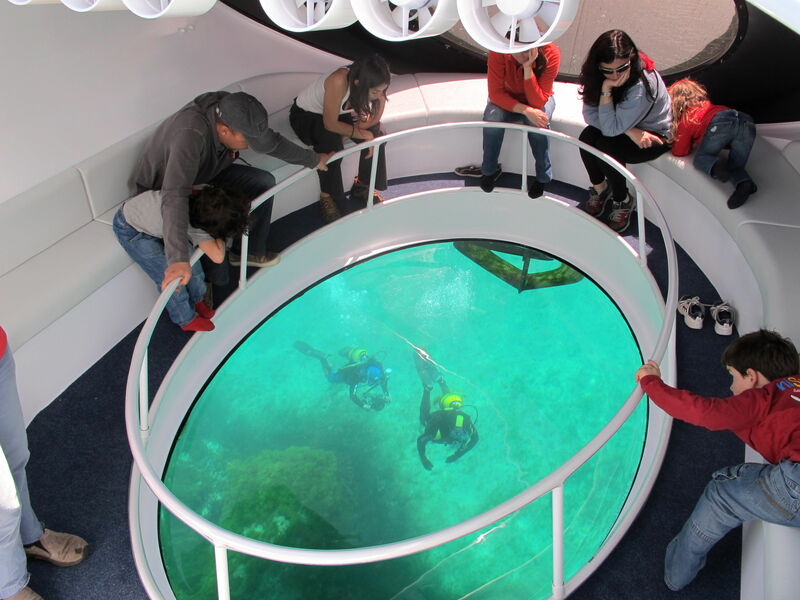 Moreover, consists of spacious spaces with two zones, an interior for underwater observation and an exterior where you can observe the beauty of our coast as well as the sea bottom. 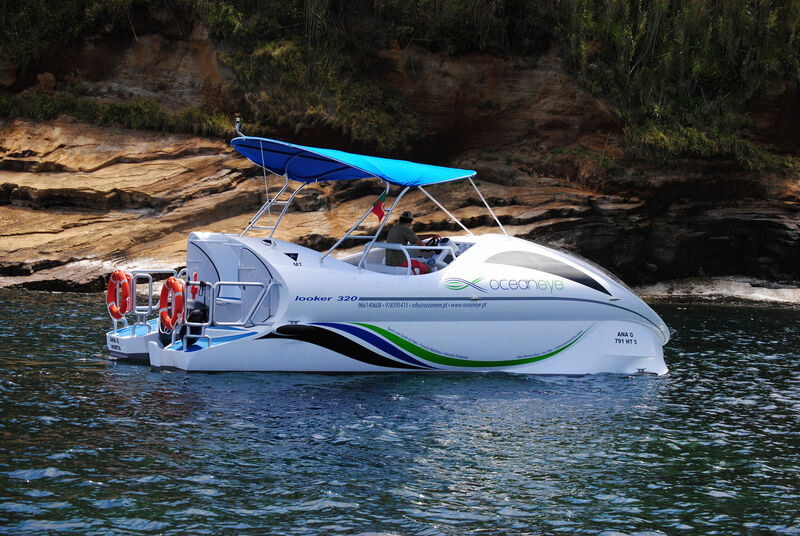 Its features are provided with an innovative technology navigating on a hydrofoil which makes it extremely versatile in manoeuvre. This recreational and educational tour, morning and after lunch departures, will provide you a spectacular view of the Azorean marine biodiversity, complemented by the crew experience and Marine Biology education. 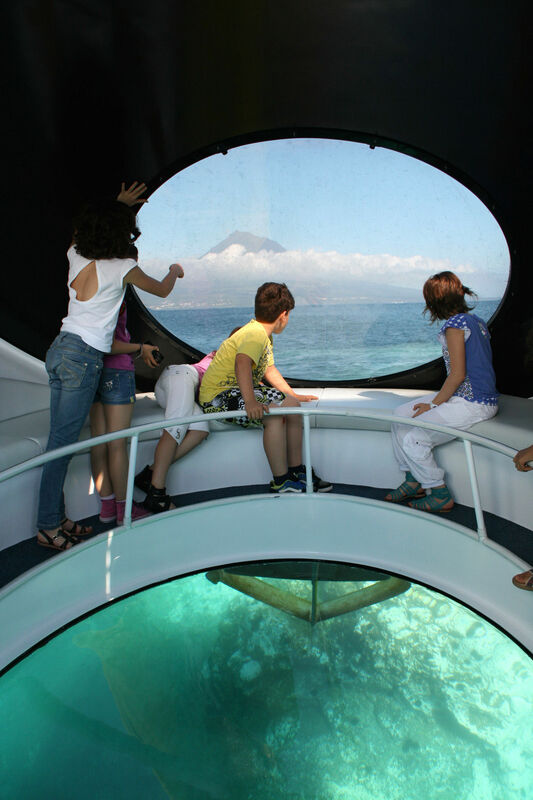 Aboard of our futuristic design boat, you will enjoy the transparent concave bottom, with 5 m2 viewing area! From the exterior area of the boat sight the beauty of Faial Island and other Triangle islands. Nota Please, read the conditions, terms and Safety Instructions before the trip. This recreational and educational tour, starting at the end of the day, will provide you a spectacular view of the Azorean marine biodiversity, complemented by the crew experience and Marine Biology education. Aboard of our futuristic design boat, you will enjoy the transparent concave bottom, with 5 m2 and iluminated viewing area. From the exterior area of the boat sight the beauty of Faial Island and other Triangle islands at sunset.